Gallery 110 is proud to present the work of Youth in Focus students in our East Gallery during the month of December. 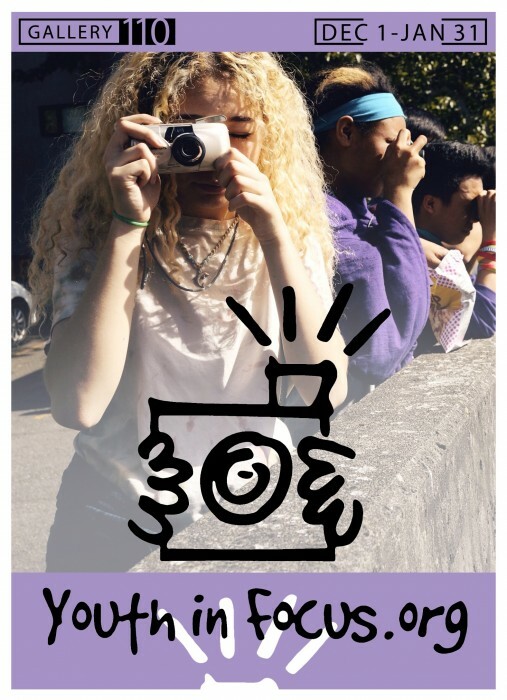 Youth in Focus’ mission is to empower urban youth through photography, to experience their world in new ways and to make positive choices for their lives. We but mirror the world. All the tendencies present in the outer world are to be found in the world of our body. If we could change ourselves, the tendencies in the world would also change. As a man changes his own nature, so does the attitude of the world changes towards him. This is the divine mystery supreme. A wonderful thing it is and the source of our happiness. We need not wait to see what others do. This entry was posted in Past Exhibitions on December 1, 2016 by Chloe Wright.